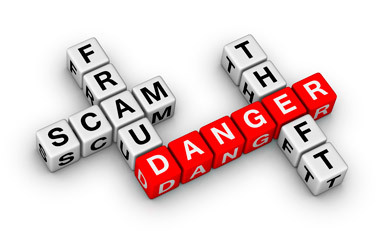 Scam artists posing as the IRS have fraudulently solicited account holder identity and financial account information. The Internal Revenue Service issued on Wednesday a fraud alert for international financial institutions complying with the Foreign Account Tax Compliance Act (FATCA), warning that scam artists posing as the IRS have fraudulently solicited financial institutions seeking account holder identity and financial account information. The IRS notes in the alert that it does not require financial institutions to provide specific account holder identity information or financial account information over the phone or by fax or email. Further, the IRS does not solicit FATCA registration passwords or similar confidential account access information. Financial institutions directly registered to comply with FATCA and those in jurisdictions that are treated as having in effect intergovernmental agreements (IGAs) to implement FATCA through intergovernmental cooperation have been approached by persons representing themselves as the IRS. The IRS says that it has reports of incidents from multiple countries and continents. These fraudulent solicitations, known as “phishing” scams, are typically carried out through the use of unsolicited emails and/or websites that pose as legitimate contacts in order to deceptively obtain personal or financial information, the IRS says. The IRS says that financial institutions or their representatives that suspect they are the subject of a phishing scam should report the matter to the Treasury Inspector General for Tax Administration (TIGTA) at 800-366-4484, or through TIGTA’s secure website. Any suspicious emails that contain attachments or links in the message should not be opened, and the email should be forwarded to phishing@irs.gov. Check out FINRA Warns of Stock Scams Tied to Ebola, Other Viral Diseases on ThinkAdvisor.